Apple has released information on unit sales as part of its financial results since 1998, the year of the iconic and colourful iMac G3. But during its Q4 2018 earnings call, Apple announced these numbers will no longer be revealed. It will tell us about revenues and profits, but not how many iPhones, iPads and MacBooks are sold. The number of units sold is “less relevant today than it was in the past”, according to Apple CFO Luca Maestri. The golden age of iPhones, and to a lesser effect smartphones in general, is reportedly coming to an end. Reports by IDC and Strategy Analytics estimate the number of phones sold in Q4 2018 as either six or eight per cent lower than the same quarter in 2017. In order to continue growing, Apple needs to wring out more revenue from its customers going forward instead. Those who have checked Apple’s latest prices, of up to £1,849 for iPad Pros and £1,499 iPhone XS Max phones, will not need to be convinced of this. The big question: why this strategy? Smartphones rose during the global recession, seemingly unaffected by the wider chaos. However, Apple’s financials move has been taken as an admission of the coming iPhone downturn, and as a result its share price dropped by seven per cent. This very reaction demonstrates why Apple’s decision to withhold sales numbers is the correct play, fiscally. Markets and share prices aren’t just affected by reality, but by the impression of what an imagined future reality may be. Tesla’s share price dropped by six per cent after CEO Elon Musk appeared on the Joe Rogan Experience podcast, smoking a joint and spouting off about how “love is the answer”. Less than a month later, its shares rode high again after the Tesla 3 broke EV sales records. Apple’s decision to withhold sales figures is an attempt to insulate the company from damaging share fluctuations, and the wider narrative that it is “on the downturn”. One metric of success has been obscured. And while its relative transparency is becoming, at best, translucent, the maths on this equation is easy to calculate. In order to continue its upward trend, Apple needs to squeeze more money out of a static, or even diminishing, customer base. Like other tech giants, its success rests not just on profit, but ever-continuing growth. And if Apple wins, from one perspective the consumer loses, with less value per pound spent. Apple is already well into its project of charging buyers more. It arguably started in full force with the 2017 iPhone X, which represented an almost 50 per cent leap in cost over the iPhone 8. The iPhone X was a more advanced phone, too, of course, but according to IHS Markit costs $137 more to make, but $300 more to buy. The success of the iPhone X, which was by no means expected by all analysts, did not just validate Apple’s decision to raise the price ceiling. It primed the market for Android manufacturers to do the same. And they have. We, it would seem, have bought into the idea of £900-£1,000 phones without as much as a whimper. Apple’s prices are becoming alarming across the board, for any hardware that could be considered remotely “current”. Consider the MacBook Pro 13 line, for instance. The cheapest model to use an up-to-date 8th generation Intel CPU costs £1,749. All other MacBook Pro 13s at a lower price use 7th gen processors. For a little context: Dell discontinued its XPS 13 laptops with 7th generation Intel processors in November 2017. Apple continues to sell out-of-date models, at higher prices than Dell’s, a year later. The legacy MacBook Air, which still costs £949, has a processor released at the beginning of 2015. No manufacturer of Windows laptops could get away with selling a computer with such an old processor. It begs the question: are we being played? This is not an “emperor’s clothes” situation just yet, but Apple is manipulating holes in the knowledge of most buyers, and leveraging its reputation for relative trustworthiness. Over the next year we’ll see how successful its gamble is. 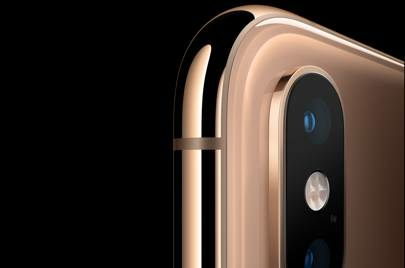 That the £749 iPhone XR can be sold as an “affordable” is perhaps the boldest move. This is the lowest price iPhone that is, by traditional metrics, not out of date. However, it is already buoyed by critics who laud it as the “long-lasting” iPhone you’ve always wanted. Apple knows how to devise a compelling product. And that Android phone makers have followed the iPhone X trend in producing ever-more-expensive phones is actually a gift to Apple. That a mid-tier Apple phone can cost £749 seems to have been accepted with only the briefest flicker of cognitive dissonance. Apple needs to be so aggressive on the profits of its devices because, unlike Google, the large part of its profits come from them. Its services division, which includes iCloud, Apple Music, AppleCare, Apple Pay and App Store revenues, accounted for a record $10 billion of its $62.9 billion Q3 earnings. However, its own estimates are of $14 billion revenues by 2020. This is not the kind of growth that will offset a serious slowing of smartphones sales. Apple is only in this tight position because of what is perhaps the most admirable part of its operation. Google’s entire business rests on data collection. Apple’s does not. Google monitors every part of your digital life, from the emails you write to where you go with your phone, to build up a sophisticated advertising profile. A more detailed profile means potential for more closely targeted adverts, which Google’s ad networks can charge more for. Roughly 86 per cent of its total 2017 revenues came from these ad networks, $95.4 billion. Apple is expected to make just $500 million from its App Store ad network, which Bertstein analyst Toni Sacconaghi predicts will rise to $2 billion by 2020. Its ad revenues are weaker not only because they are largely limited to the App Store, but because Apple’s data collection is so much less aggressive than just about any of the tech giants. Earlier in 2018, ZDNet’s Zack Whittaker requested all the data held on him by Apple. He found it was, for the most part, what you’d expect: lists of login attempts, app downloads, his device ownership history. From Apple’s collected data you could probably tell if someone was a fan of mobile re-releases of 90s 16-bit video games. But you wouldn’t really know who they are. By contrast, every Android phone you own tells Google who you are. Apple’s continued, and seemingly genuine, focus on privacy is admirable. However, for phone users it’s only a tangible benefit if you use an iPhone without Gmail, Google Maps and all the other infuriatingly good Google services. Those who have accepted the privacy trade-off but find Apple’s profit-sucking approach hard to handle should look to the Chinese phone makers. Brands like Xiaomi, OnePlus, Huawei and its sister brand Honor are still in the phase of growing their market share rather than consolidating profits. And that, usually, means better value. The OnePlus 6T is the most important phone of this type at present. At £499 it is the most expensive phone OnePlus has made. But it is also the first time you’ll be able to buy a OnePlus model from all the big UK networks, bar Three. OnePlus can finally go head-to-head with Apple at retail. However, given how deftly Apple has manipulated the phone market to date, it seems more likely OnePlus’s maturation will be an issue for Samsung and the other Android adherents, not Apple. For now, we’ll just have to hope Apple’s 2019 profit-increasing strategies are not too egregious.